The definitive military history of the Civil War, featuring the same exclusive images, tactical maps, and expert analysis commissioned by The United States Military Academy to teach the history of the art of war to West Point cadets. The United States Military Academy at West Point is the gold standard for military history and the operational art of war. West Point has created military history texts for its cadets since 1836. For the first time in over forty years, the United States Military Academy has authorized a new military history series that will bear the name West Point. 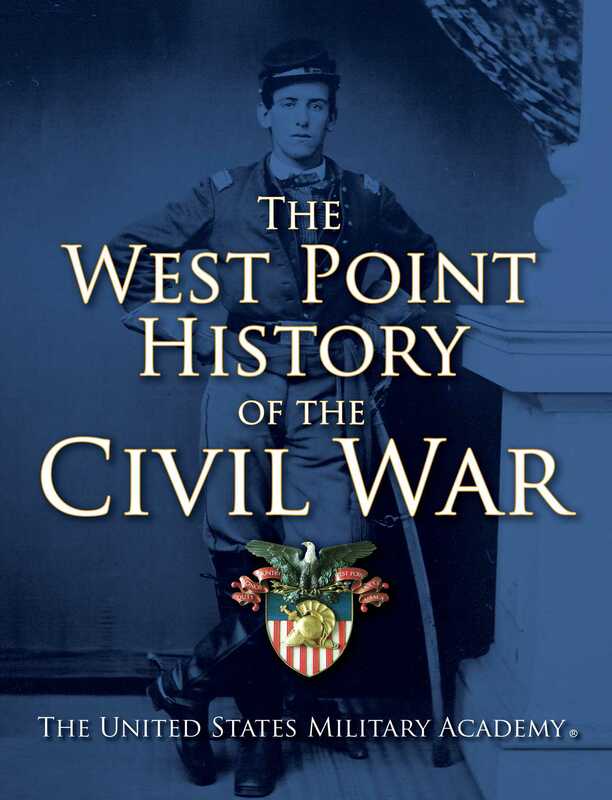 That text has been updated repeatedly, but now it has been completely rewritten and The West Point History of the Civil War is the first volume to result in a new series of military histories authorized by West Point. The West Point History of the Civil War combines the expertise of preeminent historians commissioned by West Point, hundreds of maps uniquely created by cartographers under West Point’s direction, and hundreds of images, many created for this volume or selected from West Point archives. Offering careful analysis of the political context of military decisions, The West Point History of the Civil War is singularly brilliant at introducing the generals and officer corps of both Union and Confederacy, while explaining the tactics, decisions, and consequences of individual battles and the ebb and flow of the war. For two years it has been beta-tested, vetted, and polished by cadets, West Point faculty, and West Point graduates and the results are clear: This is the best military history of its kind available anywhere. One of the few openly abolitionist cadets, Upton fought with Wade Hampton Gibbes on the eve of the Civil War. He later became one of the best tactical commanders of the Civil War and among the most influential officers of the postwar era. Prior to the mid-1850s, West Point had a nationalizing effect on the country. After 1855, cadets took control of the assignment process for the companies. Southerners went into two, and northerners went into the other two. Even on parade, the two sides began to separate. While the internal trauma was terrible, the external attacks were even more dangerous to West Point. President Lincoln and Secretary of War Simon Cameron criticized West Point because so many of its graduates left the U.S. Army to fight for the Confederates. Radical Republican senators railed against the Academy and twice brought a vote to the floor of Congress to stop all funding to West Point and close the Military Academy. Senators argued that West Point was an incubator for secession and treason, and that it produced an aristocratic caste of officers to the detriment of volunteer citizen-soldiers. Senator Zachariah Chandler of Michigan declared that he “was prepared to abolish West Point Academy. I believe that but for this institution the rebellion would never have broken out.” Senator Benjamin Wade of Ohio believed that a string of southern secretaries of war and Military Academy superintendents had so deeply molded the culture of the Academy that “you can hardly find a graduate of West Point who is not heartily now the supporter of southern institutions . . . the whole batch were imbued with the southern secession doctrine.” Not only did he denounce the “perjured traitors” who had resigned their commissions and gone to serve the Confederacy, he worried that hundreds of other graduates who had remained in Union blue were “treacherous and rotten at the heart, and . . . doing us infinitely more mischief than any number of them who have turned and resigned their commissions.” While most loyal officers thought such attacks were unfair, many did believe that the cadets and officers educated and nurtured at West Point who left for the Confederacy were traitors who brought shame to the Academy. "The West Point History of the Civil War is masterfully crafted and essential reading for students of the civil war. Leaders will benefit from its deep insights into the key decisions and critical turning points." This is a lavishly illustrated and superbly written survey of the origins, course, and legacy of our national trial by fire. . . . The text is admirably supported by photographs, highly informative maps and charts, and excellent images of artifacts. . . . This outstanding work can serve as an ideal introduction to the topic for general readers." "Assembles contributions from five of the country's most distinguished historians of the Civil War. . . . Provides a richness of political context as well as showing how the war was transformed from an initial defense of the Union to a war for emancipation."